The crew in Star Trek might have been chasing the final frontier and cowboys may have been following trails during the American frontier, but only Playtech puts you in the Heart of the Frontier. Through a combination of five reels, 20 paylines and some quick-shooting features, this video slot will take you and your bankroll to a world you’ve never seen before. 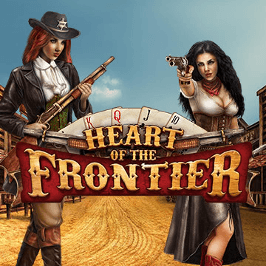 To help you navigate this unfamiliar landscape, we’ve prepared a review of the Heart of the Frontier online slot machine. Designed to lead you through the game’s major landmarks, it’s the perfect place to start your slots journey. Play Heart of the Frontier for Real Money! The American frontier was a significant point in time not only for the continent of North America, but the world in general. To celebrate this period of quick-shooting cowboys and Native American Indians, Playtech has put together a five-reel tribute packed with prizes. In line with the Western theme, fair maidens, Native Americans and horseshoes abound, plus a background soundtrack John Wayne would feel at home with. 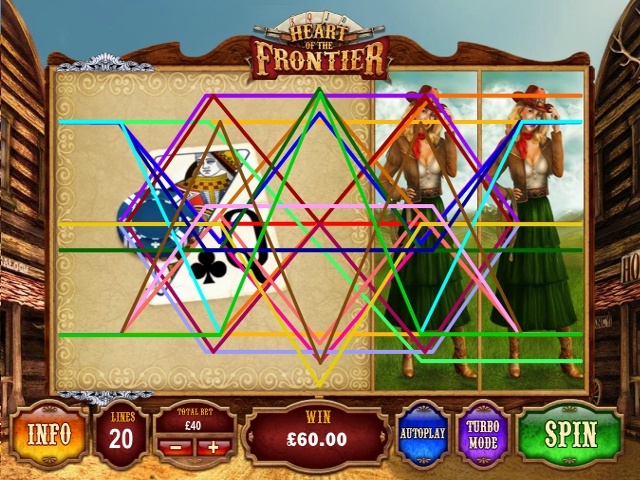 What’s really clever about the Heart of the Frontier online slot's aesthetics is that the commonly used card symbols are marked by actual playing cards instead of letters. This brings another layer of interest and detail to the game. While styling is important, the real appeal of the reels is their potential pay-outs and, in the Heart of the Frontier video slot, you’ll have the chance to win anything from two-times your line bet to a heady 500-times. Before you can take a shot at the pay-out table, you need to aim your six-shooter in the right direction. In real terms, this means setting your stake according to the in-game betting limits. At the lowest level, 0.20 credits will get the 20 paylines active, while a 60-credit spin is the Heart of the Frontier slot’s max bet. Once you’ve lined up your shot, the Heart of the Frontier slot game allows you to fire off rounds in quick succession if you wish. By pressing and holding the spin button you’ll call up the autoplay feature, which starts a rapid-fire round where you can shoot anything from ten bullets (spins) to 90 bullets without a break. 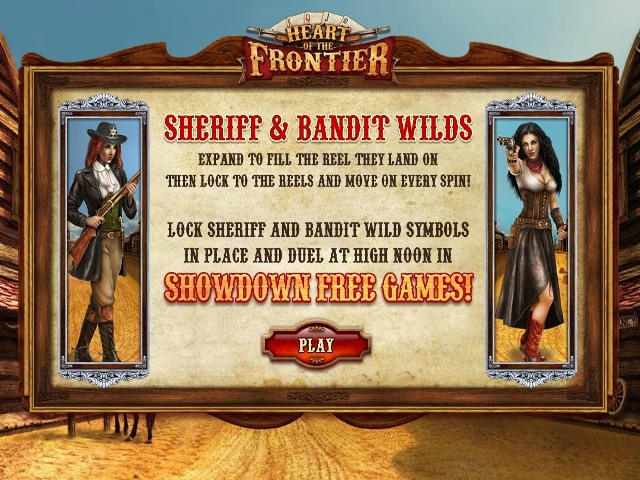 When it comes to special features, the Heart of the Frontier online slot machine features two expanding wilds that lock in place and cover entire reels whenever they feel like it. 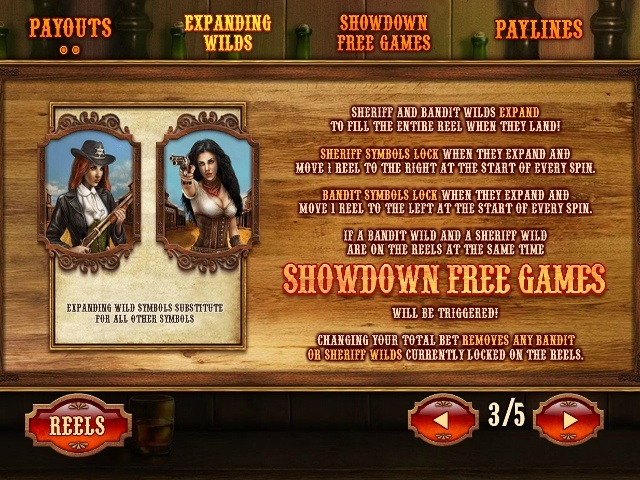 In addition to substituting for other symbols, the two expanding wilds can also combine to unlock a free spins round where they then lock in place in order to generate multiple wins. If you’re playing for real money and you haven’t brought a knife to a firefight, the Heart of the Frontier video slot is a great little game that can provide a shot in the arm for you and – potentially – your bankroll. Share this Heart of the Frontier Review today! 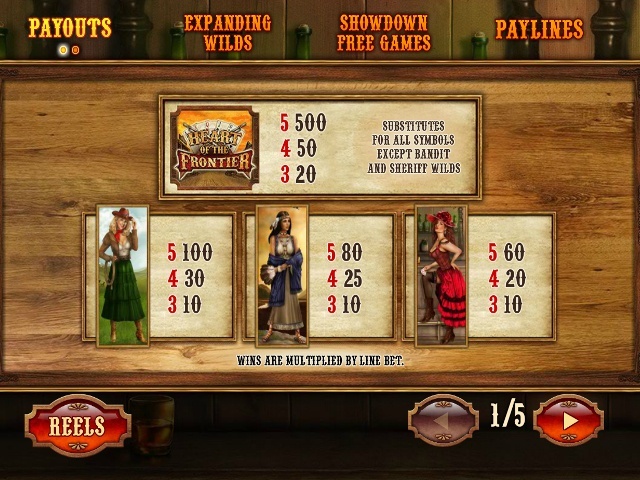 If you like Heart of the Frontier, you'll love these slot titles too!